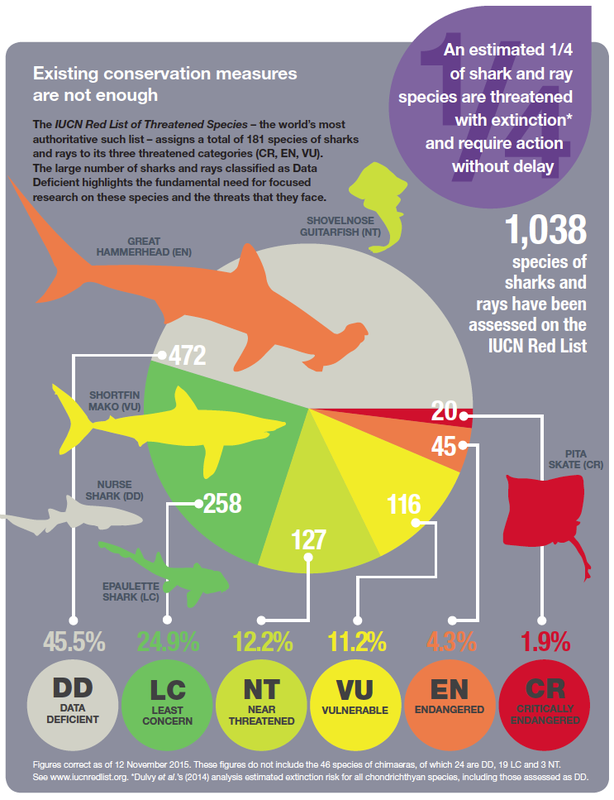 The Global Strategy for the Conservation of Sharks and Rays (2015–2025 ), summarized here, is the product of an intensive 18-month strategic planning process incorporating extensive data analysis and synthesis, including a set of background documents, several technical workshops, and ongoing consultation and review. This process involved a team of experts representing the following organizations: Shark Advocates International, the Shark Trust, TRAFFIC, Wildlife Conservation Society (WCS), and World Wide Fund for Nature (WWF) International. The co-chairs of the International Union for Conservation of Nature (IUCN) Shark Specialist Group served as technical advisors and contributors to the planning process. This document presents a summary of the global priorities for shark and ray conservation that have been identified through this collaborative process. Fundamental elements of the strategy include: improvements in governance frameworks and regimes for shark and ray conservation; data collection and scientific investigation to further the understanding of sharks and rays and the pressures on their populations; development and deployment of tools to strengthen technical capacity; and fostering increased commitment, including political will and financial investment, across multiple sectors. The NGOs that have partnered to develop the global shark and ray conservation strategy are committed to its implementation, through a Global Sharks and Rays Initiative (GSRI). However, it is clear that such an ambitious effort involves a much broader range of private and public sector organizations, agencies, and institutions. This Global Strategy provides a roadmap for expanding commitments and prompting action to ensure the conservation of these vulnerable and valuable fishes.